One of the greatest treasures of the Goldsmiths’ Company Collection, the Royal Clock Salt, on. Deakin and Francis have always believed that tradition is the way forward. Having first established. A new book created by and celebrating inspiring Birmingham women and their achievements will be. The New Standard Works sits prominently on the corner where Regent’s Place meets Vittoria Street..
At the start of the 20th Century, Sir Alfred Bird of Bird’s Custard fame, whose. Birmingham’s Jewellery Quarter surely has the most exclusive collection of Museums in the world, and. Constance Caroline Woodhill Naden. Born 1858 – died 1889. Poet – Philosopher – Scientist CONSTANCE. To you, the photo may look like an old, weathered photo of an unknown soldier,. On Monday 16 October 2017, the Pig & Tail Public House in the Jewellery Quarter,. 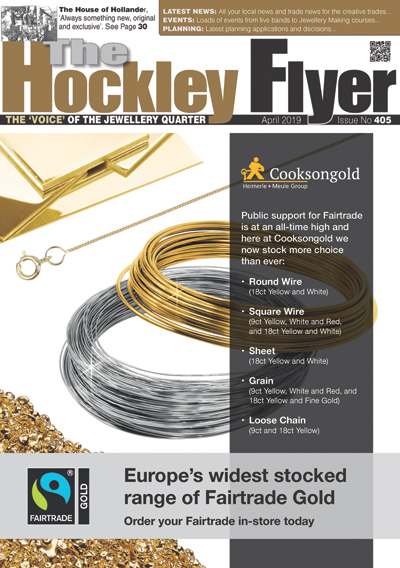 In July 2016 Hockley Flyer No 360 we reported that there were plans to restore. Combine your visits to two or more Jewellery Quarter museums with the Explorer Pass offer..
At a cost of £1.38 million both cemeteries are due to be restored. Plans have. With the support of Mike Olley and the Westside BID, Brum Tours has launched its. For 25 years, the award-winning Museum of the Jewellery Quarter has opened its doors to. The Coffin Works are proud to announce the launch of their brand-new permanent exhibition. From. Thanks to a Heritage Lottery Fund (HLF) grant and match funding, the Pen Museum has. The Pen Museum, based in the Argent Centre in Frederick Street has received £90,000 from. On 22nd October 2015 it was announced that three projects in The Jewellery Quarter will. Birmingham’s Jewellery Quarter today is a flashback to the days of the city’s industrial development,. Birmingham Conservation Trust, the charity behind the rescue of several historic buildings in the city,. Cabinet are being asked to approve plans to support a bid for lottery funding to. The silverware, coins, and library collection of Assay Office Birmingham are now available to view. The Newman Bros at the Coffin Works are having an evening where they are inviting. Another fantastic and sold out day of Silver Visit’s took place recently at Assay Office. At a time of financial uncertainty for museums and galleries a unique, volunteer-run Birmingham museum. An original artist’s impression of this iconic city landmark is to go on public display. The life of industrial revolution pioneer Matthew Boulton and founder of The Birmingham Assay. The Assay Office Birmingham, in the heart of the Jewellery Quarter, has received a stamp. A new book written by Sutton Coldfield historian Brian Jones and volunteers at Birmingham’s Pen.